← Win a Sweet Holiday Prize Pack from Madhava! Hey Chicagoans! We’re sure you’ve noticed how easy it is to incorporate local farmer’s market produce into your summer time recipes but cooking in winter, jeez what to make? 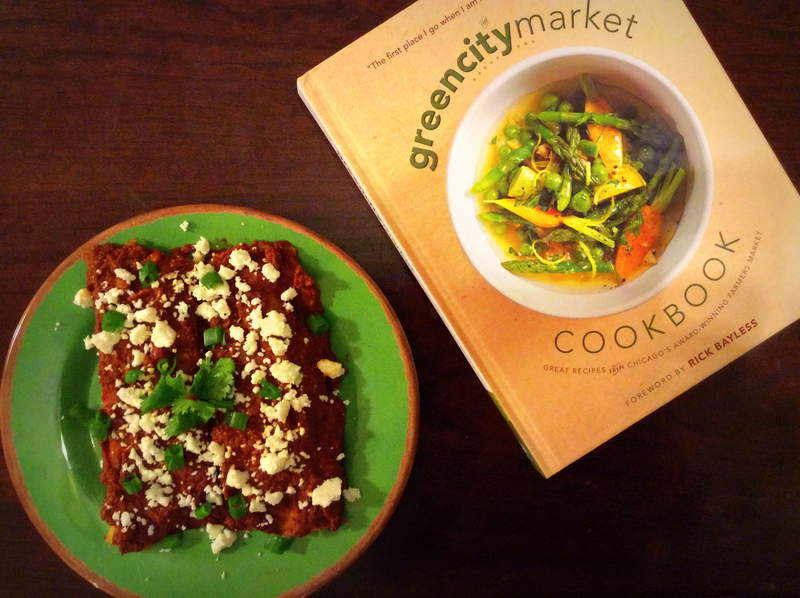 Then, along comes the Green City Market Cookbook. Inspired by the beloved Lincoln Park Farmer’s Market of the same name, the cookbook is also a brainchild of Abbey Mandel, Green City Market founder. Hand picked and crafted recipes come from a variety of Green City Market lovers including Chicago’s community of farmers, chefs, volunteers and customers with a foreword and recipe by world renowned chef, Rick Bayless. Each recipe features fresh produce and is categorized by seasonal availability. There are over 90 recipes that integrate local fruits, veggies, humanely raised meat, fish and eggs from Green City Market. Not only are the recipes tantalizing and delicious but also the book itself is made locally with recycled papers. The mission of the cookbook is simple: encourage folks to use locally sourced ingredients and sit down to a home cooked meal together. So that’s exactly what we did! The Butternut Squash Enchiladas with Mole Sauce (recipe provided by Maria Concannon, owner of Don Juan’s Ristorante) grabbed our attention since butternut squash is one of our favorite winter vegetable and we love enchiladas. Monica acted as lead chef while Kate sat back happily as the recipe consultant and taster. 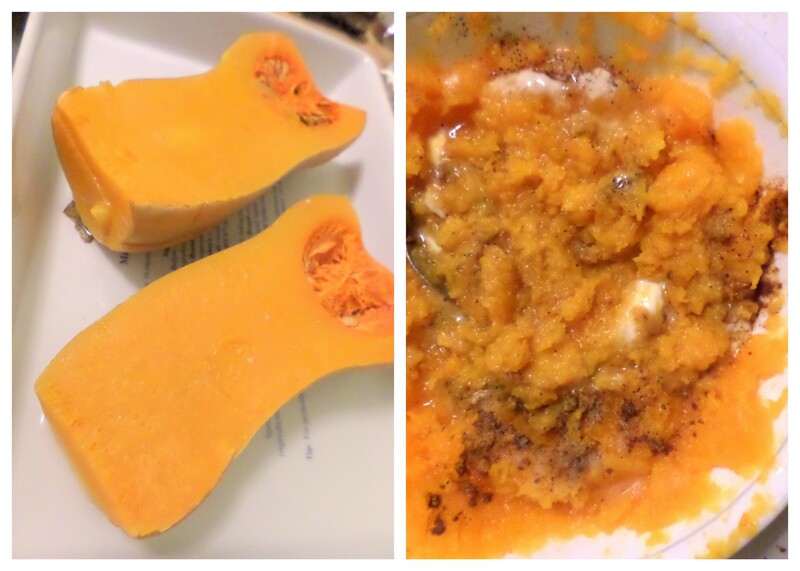 We prepared ingredients for the mole sauce while baking the butternut squash until it was tender enough to mash. The mole was a complex and delicious flavor blend of ancho and chipotle chilies blended with almonds, peanut butter, onion, garlic, tomatoes, raisins and several spices. 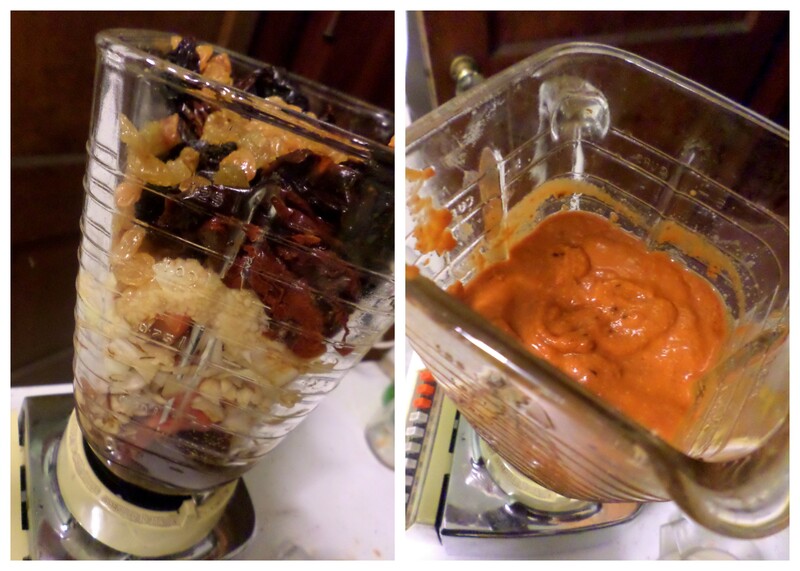 Blended ingredients for mole sauce. Ease of cooking-The cooking time was little longer than we had prepped for but we were able to cut down some of the oven time of the finished enchiladas and still make a tasty dish. Recipes may be a little more intricate than someone who is can only make break and bake cookies would like but those who are comfortable around the kitchen will enjoy the interplay of flavors and real food focus. No processed stuff here! The seasonal grouping is also delightful as it reflects your natural appetite tendencies as the seasons change. For example, the winter recipes are all hearty with a heavy highlight of root veggies which roast up so warm and toasty to keep you satisfied. Pictures in the cookbook, by Chris Cassidy Photography, draw you and make you drool with their rich colors and artful staging. Other winter recipes we want to try are Fingerling Potatoes with Garlicky Swiss Chard and Ricotta Cheese, Black-Eyed Peas, Roasted Brussels Sprouts or for meat eaters, the Greek Chicken and Potatoes. Each seasonal section offers desserts too such as Roasted Delicata Squash with Brown Sugar Ice Cream. Tempted? You can buy the cookbook at Amazon.com or Green City Market website. The Green City Market is a must to visit in Chicago. They provide sustainable grown foods for purchase and connect with the community with farmers and chefs year round. November to April it’s located indoors at Peggy Notebaert Nature Museum in Lincoln Park on Saturdays, 8am-1pm. May to October it’s located outdoors at south end of Lincoln Park (intersection Clark and Lincoln Avenues) on Wednesdays and Saturdays 7am-1pm. For more information and schedule of events check the website: http://www.greencitymarket.org.